Personal comments: The Original Durarara was my pick of anime of the year for 2010. It combines action thriller, suspense, drama, and literally anything you can think of into one super package that fits perfectly well together. There are many animes out there people's opinions differ, but for Durarara! !, it's has been overwhelmingly positive. It was really brilliant in every single way imaginable, literally! 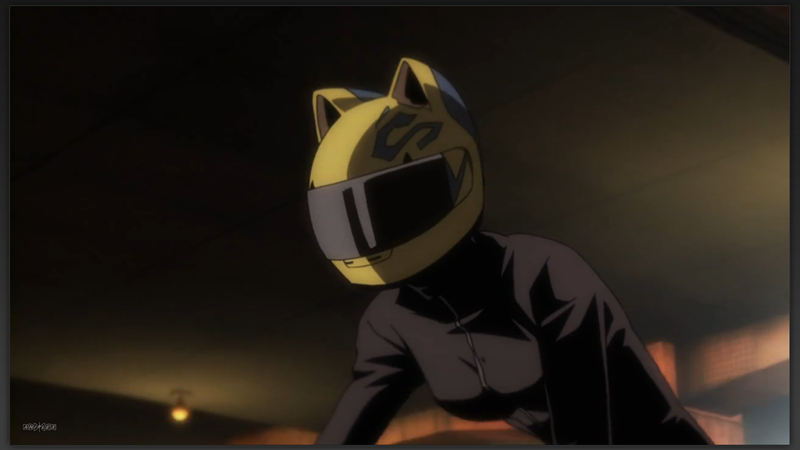 For those who have seen Durarara! !, I don't think I need to recommend you to follow up on this sequel. For those who haven't seen the original Durarara!! (or Baccano! ), where have you been?! Go watch it, and go watch it now. p.s. I'm coming out of anime hibernation for a bit, but may soon go back into it. While I'm out here, I'll share as much of my opinion as possible. Excelent evilcat! A pleasure to read you again. Sorry, Zetro, I just can't stand your endless posts :(. Hope you two are doing well. Heeeey EvilCat, good to see you here again. Looking forward to reading your opinion again, it has been missed. @marcos: You may want to say that in the comments then, eh? MekakuCity aside, I'm well aware of my bad tendency to ramble on like a penny in a drying machine. I try to keep it down, but having feed back to help know just how much is too much helps a ton. @Zetro, I didn't comment that before 'cause I know it's your free time. I just have to read it and shut up as a way to say thank you. Thanks guys. Your supports are very much appreciated! Special thanks to @Zetro as without you the blog would have been dead in the water. Thank you for your work to keep it alive.